Neuropathy commonly known as Peripheral neuropathy is not a single disease; rather is a group of disorders resulting from damage to peripheral nervous system. The peripheral nervous system connects the nerves from your brain and spine to the rest of body including arms, hands, legs, face etc. When the damage occurs in nerves, communication from the brain and spinal cord to the muscles, skin and other parts of the body gets affected. Either a single or group of nerves can be affected in peripheral neuropathy. Peripheral neuropathy is caused by a number of conditions such as diabetes, chemo-induced neuropathy, hereditary disorders, inflammatory infections, auto-immune diseases, exposure to toxic chemicals (toxic neuropathy), poor nutrition, kidney failure, chronic alcoholism etc. In some of the cases, the causes of peripheral neuropathy remain unknown – this is called idiopathic neuropathy. As neuropathy is not just one condition, neither there is a single treatment option that will work for all forms of neuropathy. Effective prognosis and treatment of peripheral neuropathy relies heavily on the cause of the nerve damage. For ex, if the cause is vitamin deficiency, can be reversed with vitamin therapy or if it is due to diabetes, blood sugar level need to be controlled. To reduce pain, several medications including nonsteroidal anti-inflammatory drugs, narcotics, antidepressants etc are also prescribed. If nerve functions are severely impaired, you may be advised for physical therapy to retain muscular strength. Mobility aids, such as a cane, walker, or wheelchair may be helpful in some of the cases. 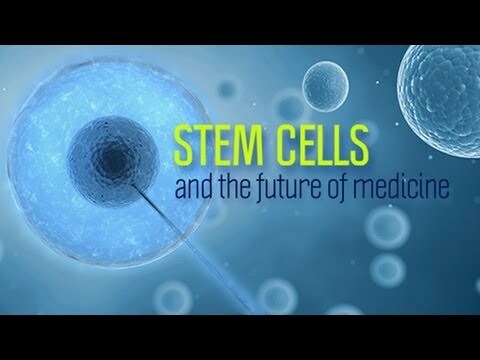 The use of stem cells in treatment of various disorders is rapidly emerging due to unique properties of these cells. MSCs are known to be multipotent and exert an anti-inflammatory effect through cytokine release that may combat the pathological inflammation involved in neuropathic pain. Stem cells also release angiogenic and neurotrophic factors promoting nerve healing and regeneration. Stem cells have been tested in different animal models of trigeminal neuropathic pain, diabetic neuropathy, and hind paw neuropathic pain, all of which showed promising results, with a significant reduction in neuropathic pain symptoms. A recent study investigated the safety and efficacy of autologus MSCs for treating neuropathic pain. This preliminary open-labelled study in 10 patients showed autologous administration of stem cells for neuropathic trigeminal pain significantly reduced pain intensity at 6 months and is a safe and well tolerated procedure. Still, there are significant challenges to be met for utilization of the full potential of stem cell therapies. It is expected that continued research will pave the way for new treatment modality for devastating medical conditions that currently lack effective treatment. E Russell Vickers, Elisabeth Karsten, John Flood, and Richard Lilischkis, A preliminary report on stem cell therapy for neuropathic pain in humans, J Pain Res.